It is that time of the year when your Facebook timelines become inundated with pictures of people with their mothers, when WhatsApp display pictures change to incorporate the hereto ignored mommies and emotional testimonies and videos extolling the worth, virtue and value of mothers descend upon you like an avalanche. Mother’s Day is fast approaching and not the ones to be outdone or miss an opportunity; brands are coming out all guns-blazing. But pleasing moms has never been easy, has it? There will always be one chore that you forget do or something from the supermarket that you did not remember to buy. Marketing to mothers can be equally tricky too. According to a global study conducted by Saatchi & Saatchi in the year 2015, where they queried nearly 8,000 mothers with children ranging from newborns to 17-year-olds in countries such as China, Germany, Italy, India, Mexico, the UK and the US (including US Hispanics), 51 per cent of the respondents believed that advertisers had an outdated view of moms and did not understand them. Keeping this in mind, BestMediaInfo.com tried to figure out what is it that marketers should dwell on when trying to market their products to mothers. To understand how to market certain products to a certain set of people it is important to understand the role they play in life and in relation to that product. B Krishna Rao, Category Head, Parle Products Private Ltd, for whom kids are their primary target audience (TG) and the mothers the secondary TG, explained the role mothers play when it comes to their snacks and confectionary brands. “What role do mothers play? The role of a mother is essentially that of a gatekeeper. She is basically the filter between the product and the child and she is the one who decides what is good for her child. From that perspective whenever we device any communication we ensure that it should have some appeal to the mothers,” said Rao. “Take Oreo for example. In the end everyone knows that Oreo is a cream biscuit and probably is not that healthy for kids. So they devised this combination of milk with an Oreo. The way they have marketed the biscuit is that an Oreo needs to be dunked in milk. So by way of having milk, the child gets the essential nutrients,” added Rao. Viraj Singh, Chief Marketing Officer, KidZania India, believes that what mothers are looking for is a responsible brand. “Today, both mothers and children are far more aware of the environment that they are around and there is also a huge amount of clutter. Whether working or not working the media consumption of mothers has gone up dramatically. They are exposed to multiple television channels, print, digital, etc. Therefore, it has become more important for a brand to focus on how they advertise and especially to a mother. We believe that what a mother is looking for is a responsible brand. If a brand is going to target mothers for a product and service for the children then it is important for the brand to communicate in a right way on how this brand is going to add to the development of a child,” said Singh. But if there are dos then there must be some don’ts too. 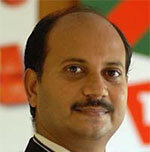 Baniaikynmaw L Shanpru, Associate Director, Media, Isobar India, believes that preaching will never get anyone anywhere. “After becoming a mother every family member, every friend, every neighbour will shove down their ideas of how to raise your child. Everyone seems to have forgotten that we are women first and being a mother doesn’t change that,” said Shanpru. Are there any challenges when it comes to marketing products to mothers? “The challenges are that as any consumer, we go by word of mouth first. If we are aware that a lot of people in our circle be it family, friends, colleagues if they have heard, used or experienced a brand then we have no problem in choosing that brands or product,” said Shanpru. Corroborating this view is Saumitra Prasad, Chief Marketing Officer, Kokuyo Camlin. “I don’t see any challenges today when it comes to a brand like Camlin. Camlin is a brand that has been in the country since the 1930s. It is a brand that is connected to many generations. So for us it is very easy to connect with mothers. In fact our challenge has been the children because children today are exposed to many brands and they have more choices unlike their mothers and fathers during whose time Camlin was the brand that was present in most categories,” said Prasad. Singh however believes that the biggest challenge today is to be able to reach the mother. “A mother, even if she is at home, has a busy day. In a day she may only have a couple of hours where she is able to put her feet up and say that ok let me watch some TV. So I think to be able to capture the attention of a mother in an environment where she is receptive to information is extremely important and challenging. Also, today a person has so much choice that you have to have your communication right. The communication has to be crisp, strong and very clear as to the fact that there is benefit to the child,” said Prasad. But our mothers have evolved. They are no longer confined to the four walls of the house. Today, they are educated, earning members of the family. Have brands been able to adapt to this change and adapt their communication strategies too to the changing times? “If you look at the profile of mothers in the previous generation they would largely be homemakers but today so many mothers are working professionals. They are educated and much more aware of things around them. They believe that the education process should be more meaningful to the children. Hence, the philosophy of Camlin of making learning fun for children has also got accepted very well with the mothers of today. If we had done something similar say 20 years ago it might not have connected so well,” added Prasad. Digital information has also made mothers a lot smarter today feels MG Parameswaran, Brand Strategist, Founder, Brand-Building.com. “Brands today have to become savvy in how they communicate to mothers, they can’t keep doing the same old thing. Some of the brands have become smart in terms of creating specific forums where consumers can share information. For example, Johnson & Johnson has this global website called ‘Baby Centre’. The big advantage today is that digital media can help you target your messages very well,” said Parameswaran. While it is true that parents and especially mothers are the decision makers when it comes to a lot of things, the role of children as influencers cannot be overlooked. While, everyone here agreed that children do play a role in purchase decisions, they may not be the all-powerful, tantrum Gods that people seem to build them up as. “In some areas I would say that children have become even more knowledgeable than their parents, like for example, certain technology products and they can actually tell their parents what is better and what is not. But there are other places where the importance of children is over estimated. In certain cases children might only play the role of giving an opinion and this opinion may not really matter. Like for example, if you are buying a car or a motorcycle, kids might give their opinion but that might finally not matter. Then there are products where the kid has a veto power. This is more applicable to food products where you might buy a product but if the kid doesn’t like the taste he/she will not consume the product. So the role of children as influencers depends on the category of the product,” concluded Parameswaran.